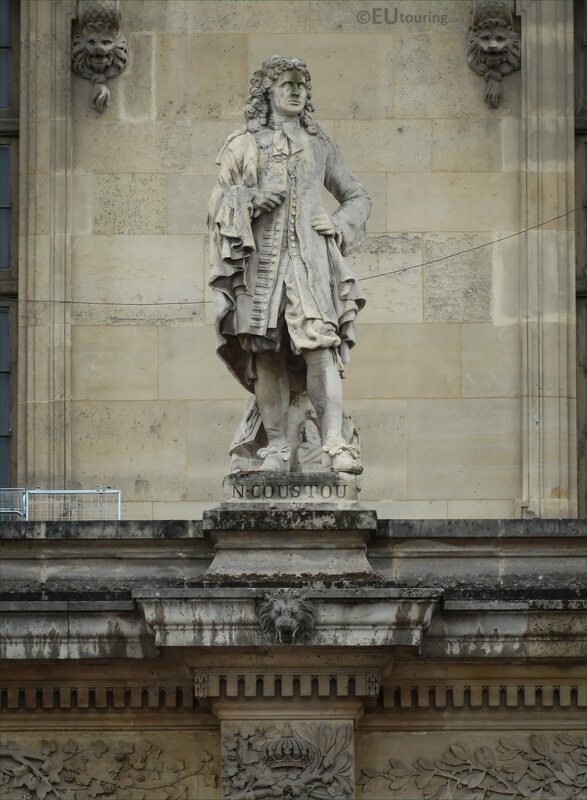 Again we were admiring the facade of the Palais du Louvre called the Aile Mollien with its statues of famous men that can be seen while within the Cour Napoleon, and we took these high definition photos showing the statue of N Coustou, by Auguste Courtet. So this first HD photo shows the full statue of Coustou with its base on the first level balustrade of the Aile Mollien wing, and it is the fifth statue from the right hand side in between the windows on this wing of the Musee du Louvre as you are looking at the facade from the Cour Napoleon, which is the main courtyard where you will find the I M Pei pyramids. And here is a closer view of the statue of Nicolas Coustou, which was produced by Xavier-Marie-Auguste Courtet, usually known as just Augustin Courtet, who was born in July 1821 in Lyon, becoming a French sculptor with several of his works being found within the Pere Lechaise Cemetery, and he passed away in Paris in March 1891. 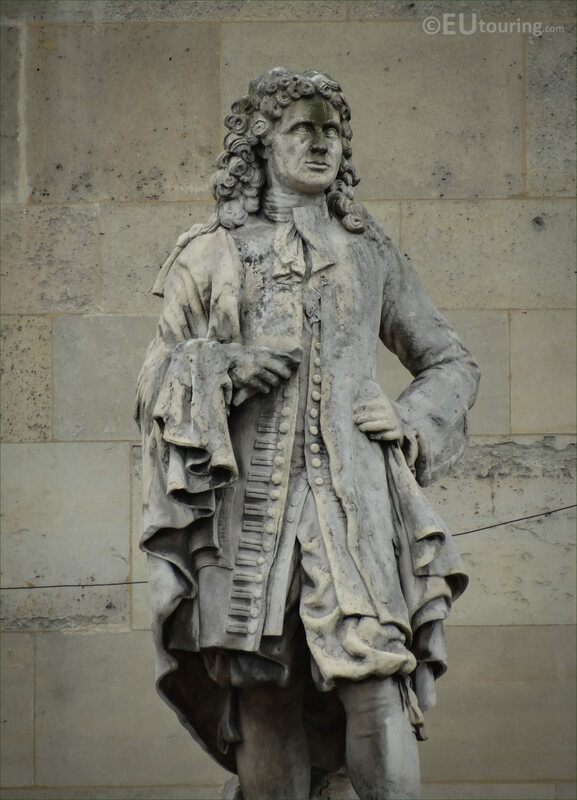 Now as we mentioned earlier, this statue is dedicated to Nicolas Coustou, as you can see from the plaque at the base of the stone statue, and born in the January of 1658 to a woodcarver, he was introduced to art at an early age and he became a French sculptor. 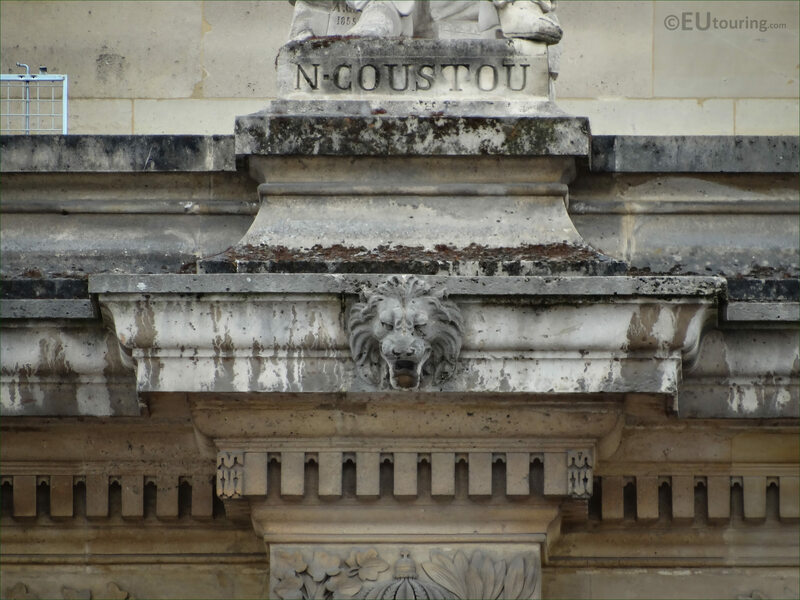 Yet he also worked with his younger brother, who became a sculptor, and sometimes it is hard to distinguish which one produced the work, or if it was both, but when Nicolas Coustou passed away in 1733, he left a legacy behind for people to still enjoy his sculptures today.